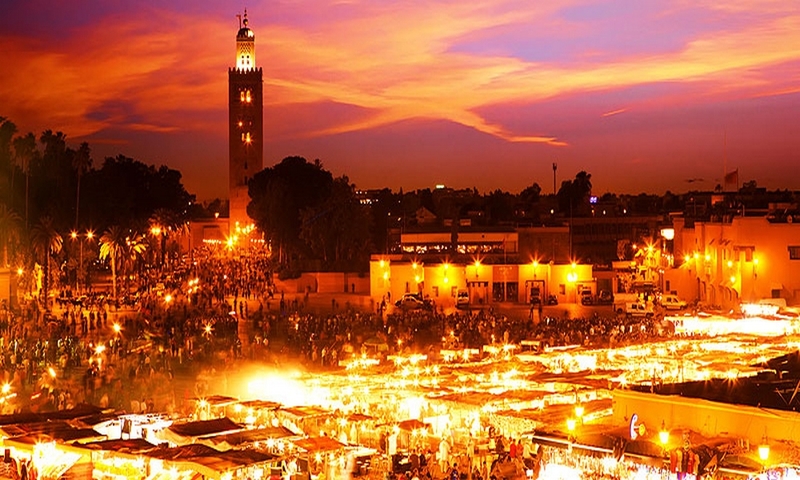 An exceptional adventure: The morning in Marrakech, the next morning to the summit of Africa, on the third day in the famous Sahara and much more! 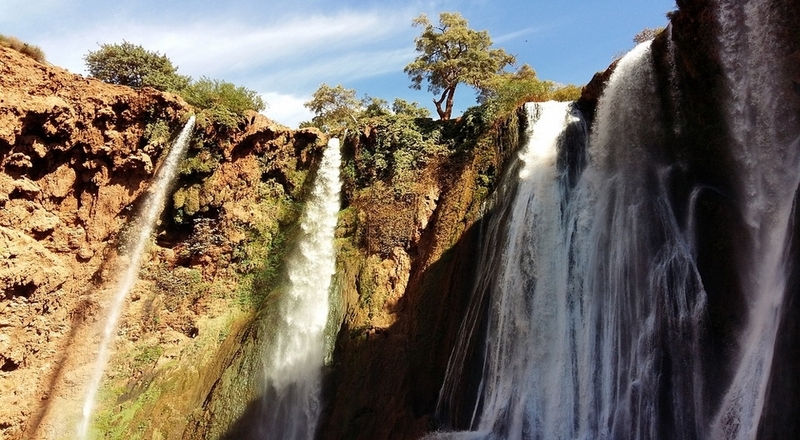 One of the most amazing things about visiting Morocco is that you can explore both the Atlas Mountains and the Sahara Desert on the same trip. This trek offers so much to see and do: Discover the Atlas and its majestic mountains and the Moroccan desert to admire Ouarzazate “Hollywood of Morocco”, enjoy a guided tour and see the nomads living in caves, walk with a local guide in the Dades Valley and the Todra Gorge, spend more time to explore the other sites, sharing a cup of tea with a Berber family. In the early morning, short transfer Atlas mountain to Imlil where we find mule. 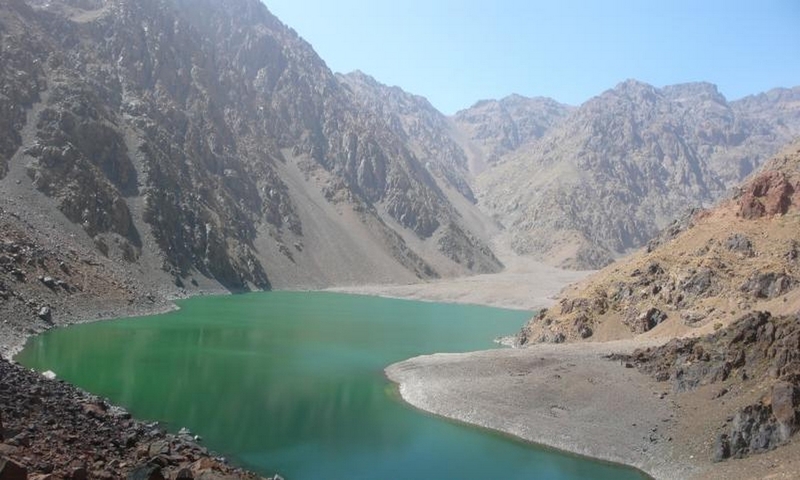 Climb to the beautiful village of Aremd then the Toubkal refuge (3100 m). Terraced, irrigation canals, marabout Sidi Chamarouch, above the area of high mountains. Night in a refuge. Climbing the highest peak in the Atlas mountain and North Africa is without major difficulties. From the top, you will be able to see the desert (which you will be traveling across, on the back of a camel, several days from now), before you head down toward Imlil. 8-9 hours after you set off, you should be in the village, ready to stay the night in a local house. 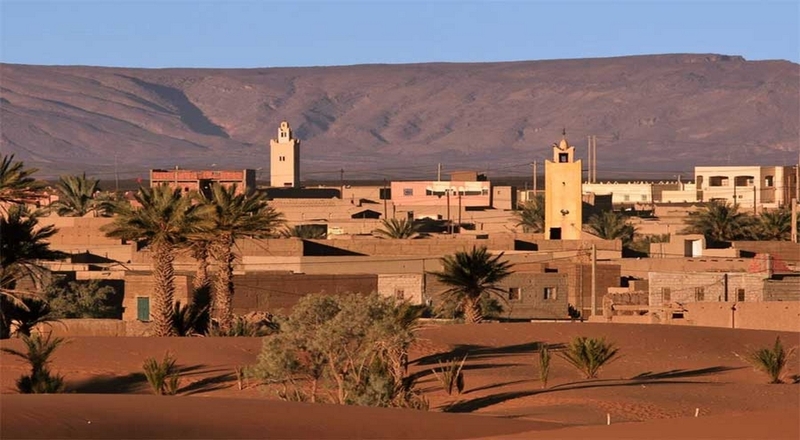 Morning departure to the High Atlas via the Tizi Tichka passing by the Kasbah of Ait Ben Haddou, visit the kasbah and the strengthened village. Continuation to Ouarzazate for lunch. 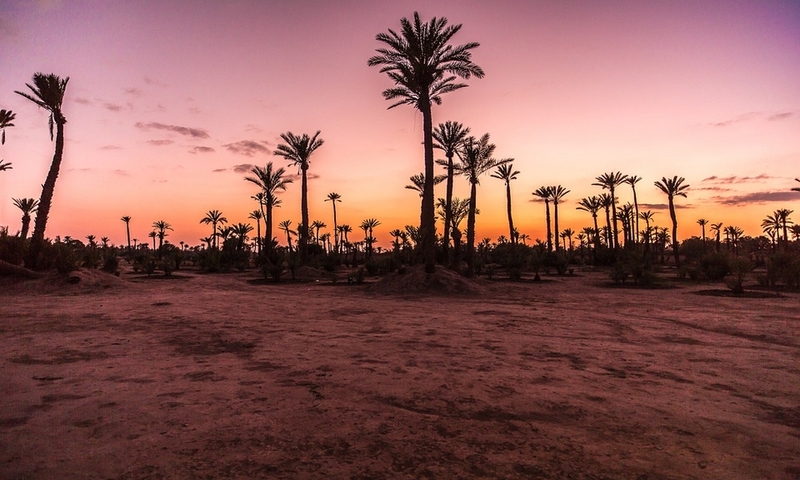 Afternoon departure to the palm groves of Skoura to visit the Kasbah of Amrédlyle. Continue to the Kalaat Magouna « city of roses » then Dades Gores via Boumalne and the Dades Valley. After breakfast return via the Dades Valley to Boumalne to continue towards Tinghir, stroll on foot in the Gorges of Todra. In the afternoon departure to the town of Erfoud across the palm and Touroug Tinjdad. Visit a workshop production of marble fossils. 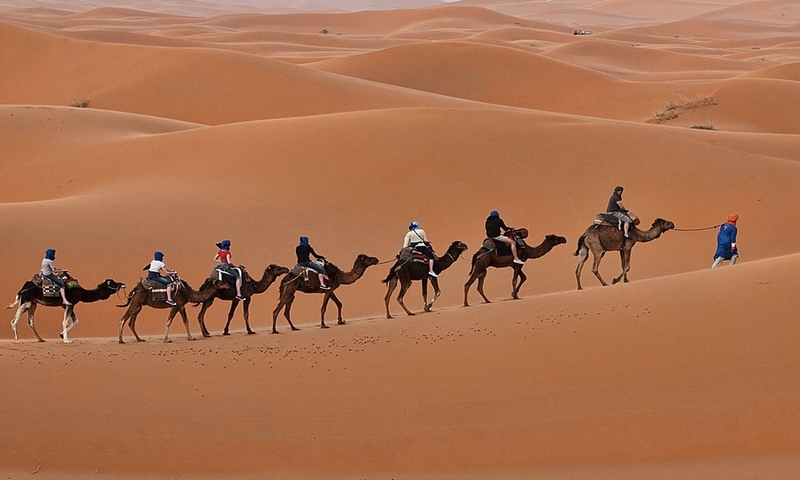 Continuation to the impressive dunes of Erg Chebbi Merzouga, exchange of vehicles against dromedaries to admire the sunset and spend the night in the open desert. Wake up early to watch the sunrise, camel ride along the dunes for about 1hour and half ,meet the driver and drive all the way back to Marrakech arrive at around 17h00. There is a 25% reduction for children under 12 years old and we do not charge for children under 5. CUSTOMIZED TOUR OFFER A PERSONALIZED EXPERIENCE. Whether you’re travelling with 2 or 40 people and you want to modify a tour package or have an itinerary built from scratch, we can create your ideal trip. You decide where to visit, how long to spend and what type of accommodation suits you best. adding extra nights or activities to a package. accommodating large groups or travellers with special needs. arranging special touches for a honeymoon package. FILL THE FORM BELOW: Let us know what we can do for you by completing the form below. Please provide as many details as possible, we will do our best to answer you shortly.